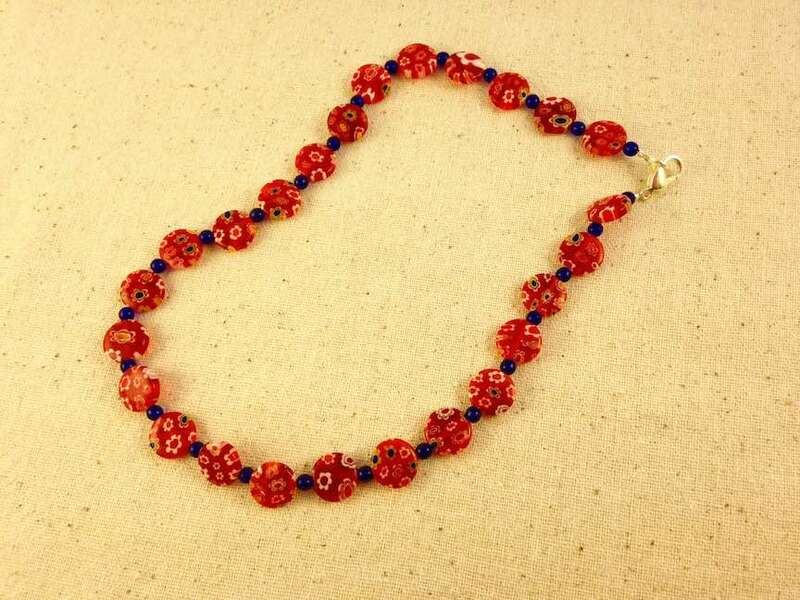 Crimp beads are an easy and professional way to finish simple strung beaded necklaces. They can be used for very simple and complex designs alike. Learn how to do it in this workshop. Various necklace designs finished with crimp beads. Adult jewelry class. Class size limit of six people. 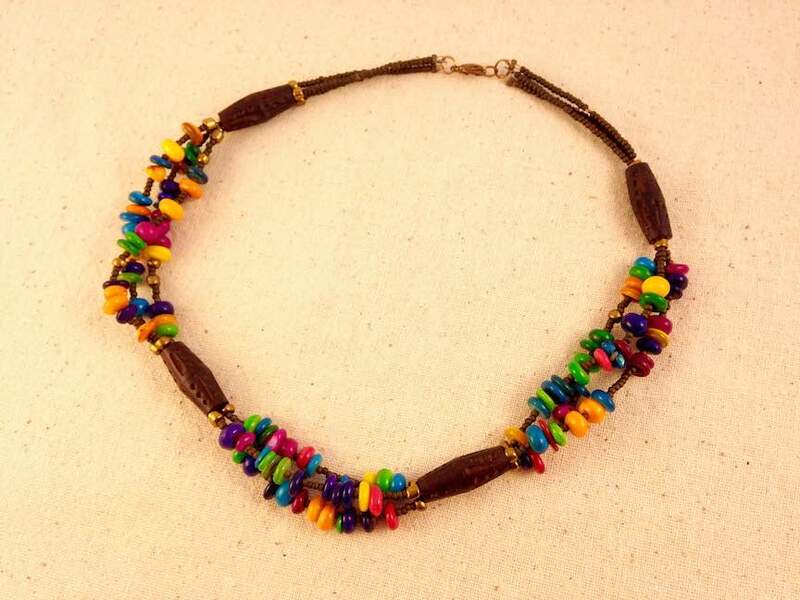 All supplies and tools included for basic single strand necklace. I have a wide selection of beautiful beads to choose from. You are welcome to make a multi-strand necklace for a supplemental supply fee of $5-10, depending on number of strands. Class will be held in my home studio near Isham Park in Inwood. 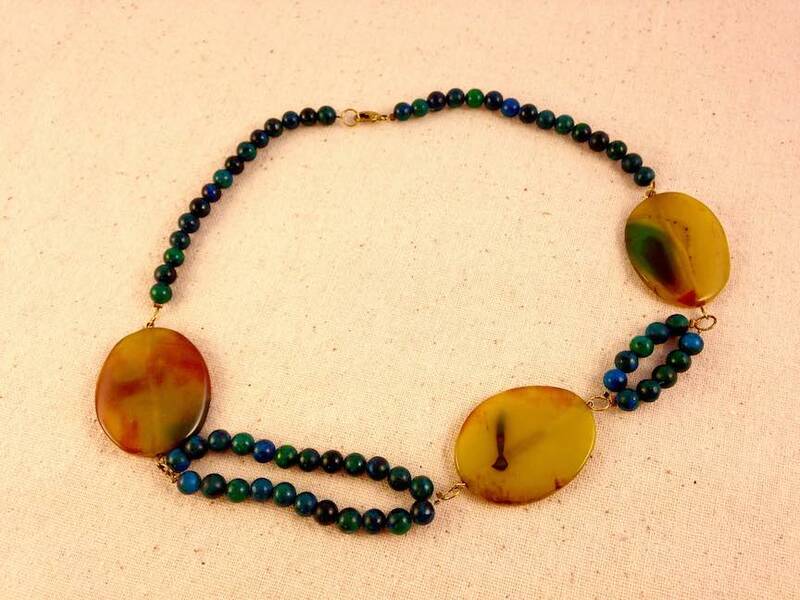 Crimps beads are an easy and professional finish to strung necklaces. Learn how to do it! $40 per person. 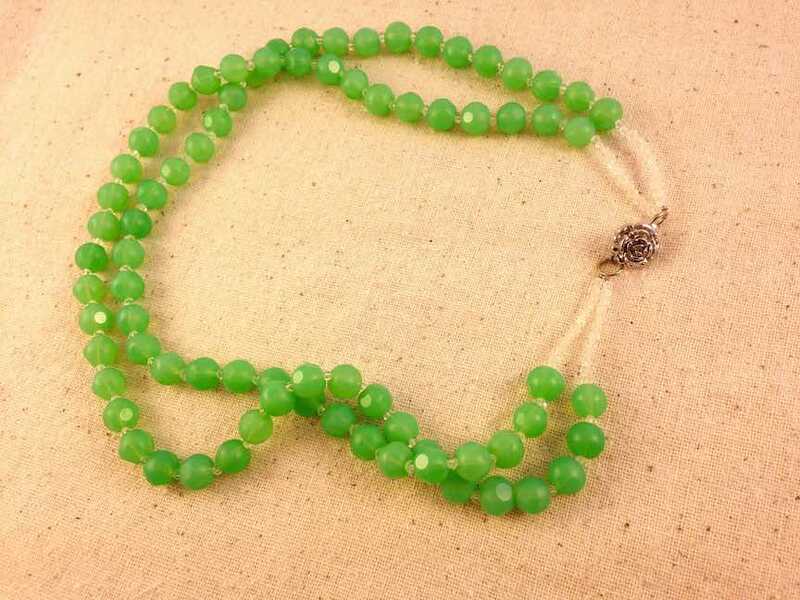 Multi-strand designs using more beads have a supplemental supply fee of $5-$10. "Share the Love" Special - bring a friend or family member, and each save $10. Each person can enter code WITHFRIEND10 at checkout, entering referring friend's name in checkout form. If one person is reserving two seats at once, use TEAFORTWO to save $20. To reserve, a $20 fee is required per person. You may register in person by calling (646) 370-3277, or register online (full fee). Please review my cancellation policy, testimonials, and other general class information here. Still have questions? Feel free to call or email me.